Victoria – Slocan Group – Radium Division is complying with the Forest Practices Code, with the exception of one road construction practice that involves a small area of Slocan’s operations, according to a Forest Practices Board audit that was released today. The one issue identified by the audit occurred where excessive amounts of rock and dirt were placed on the downslope side of roads constructed on steep terrain. This is referred to as sidecasting and can be a concern because on a steep slope sidecast material may cause a landslide that results in environmental damage. The sidecast material is also covering land that could otherwise support timber and wildlife habitat. The sidecasting occurred at four sites on two roads built in steep terrain. The two roads totaled only 4.4 km in length, while another 59 km of road was built in flatter terrain without incidence. Although the sidecast material is stable and does not pose a risk in these locations, the Board is concerned that the practice might cause environmental damage in the future if it continues. As a result of the audit, Slocan has advised the Board that it is revising its operating procedures for road construction in steep terrain. The audit examined timber harvesting, road construction, maintenance and deactivation activities, and associated operational planning, carried out by Slocan on Forest License A18979 between August 1996 and August 1997. The licence includes operating areas north of Radium and east of Invermere. The Board does not have the ability to impose fines or penalties as a result of its audit findings, but may make recommendations. Two other audit reports were also released by the Board today: Tolko Industries – Nicola Division in Merritt, and West Fraser Mills Ltd. in Williams Lake. The Forest Practices Board is an independent agency established in 1995 that provides reports to three ministers and the public about compliance with the Code and the achievement of its intent. Auditing of forest practices and the appropriateness of government enforcement under the Code is one of its key roles. Other important responsibilities include investigating public complaints; conducting special investigations of any Code related forestry issues; participating in administrative reviews and appeals; and providing reports to the public and government on Board activities, findings and recommendations. 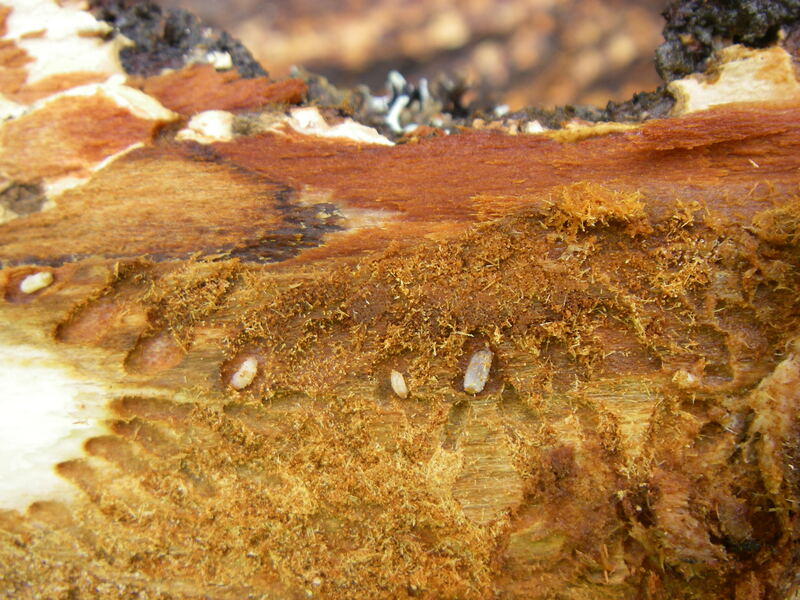 The mountain pine beetle is about the size of a grain of rice.